Dartmoor Classic cycle sportive has this week launched a new service for Dartmoor businesses giving them free access to thousands of potential customers year-round. Set up to help local businesses promote their goods or services directly to the event's participants, the new Dartmoor Classic 'Virtual Gift Pack', part of the dartmoorclassic.co.uk website, allows businesses to promote exclusive offers to past and present participants of the event. From coffee shops and hotels to lawyers and estate agents, the ‘Virtual Gift Pack’ aims to provide enticing discounts and offers to thousands of Dartmoor Classic participants as well as to their friends and families. All Dartmoor-based businesses will be able to list themselves free of charge on the site simply by contacting enquiries@DartmoorClassic.co.uk. Those with the best offers will achieve a higher ranking on the ‘Virtual Gift Pack’ pages of the website, which will be supported and promoted in regular emails to the Dartmoor Classic database of current and former participants. The one-day Dartmoor Classic event has been enjoyed by thousands of cyclists from around the world, with many making it their annual cycling pilgrimage. Since the event began over ten years ago, more than £150,000 has been raised for charity. On top of that, a further half million pounds, according to figures from Visit South Devon, is brought into the local economy over the weekend of the event each year. Non-Dartmoor businesses will be considered for inclusion on the ‘Virtual Gift Pack’ area of the site and in emails to Dartmoor Classic’s database of past and present participants; those businesses may be required to pay a listing fee. 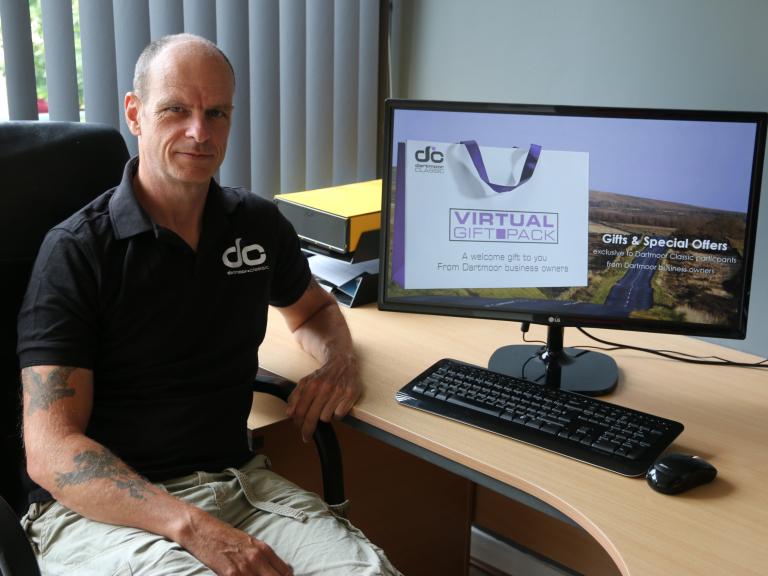 To register for the ‘Virtual Gift Pack’ businesses simply need to email enquiries@DartmoorClassic.co.uk giving your business name, contact name, email address and telephone number.